Sexual violence is a significant public health problem in the United States. Each year, millions of women, men, and children report completed or attempted sexual acts against their will. These reports are likely underestimates because victims fear being blamed, attacked again, or not being believed. Sexual assault can result in long-term physical or psychological injuries, but by working together, communities can prevent sexual violence before it occurs. We are learning more about the factors that can increase and decrease the likelihood that someone may become a victim or perpetrator of sexual violence. Knowing the factors that lead to sexual violence—whether they are related to individual behavior, family environments, community settings, or our society—can raise awareness about the issue and help communities plan prevention strategies to help us stop sexual violence before it starts. Protective factors for sexual violence decrease the likelihood of perpetration or victimization. Protective factors also exist at the individual, relationship, community, and societal levels and include parental use of reasoning to resolve family conflict and empathy and concern for how one’s actions affect others. 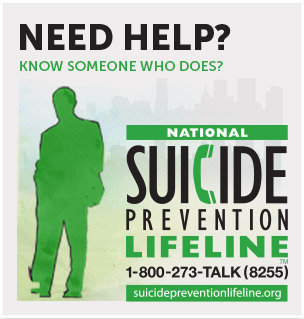 Victims, families, and communities all feel the effects of this devastating issue. Repeated or single incidents of sexual violence can negatively impact health, causing life-long problems, such as chronic pain, sexually transmitted infections, anxiety, and post-traumatic stress disorder. Knowledge about what works to prevent sexual violence is beginning to emerge. By continuing to study sexual violence, we can design and test strategies that stop sexual violence, before it happens. For the most current and comprehensive data on sexual violence in the U.S that can be used to enhance violence prevention efforts, visit the National Intimate Partner and Sexual Violence Survey summary and special reports. The strategies in this package include those with a focus on preventing SV from happening in the first place. Share this infographic with your community to help them learn more about how to prevent sexual assault. Information to help journalist and media professionals understand the causes and impact of sexual violence in the U.S. 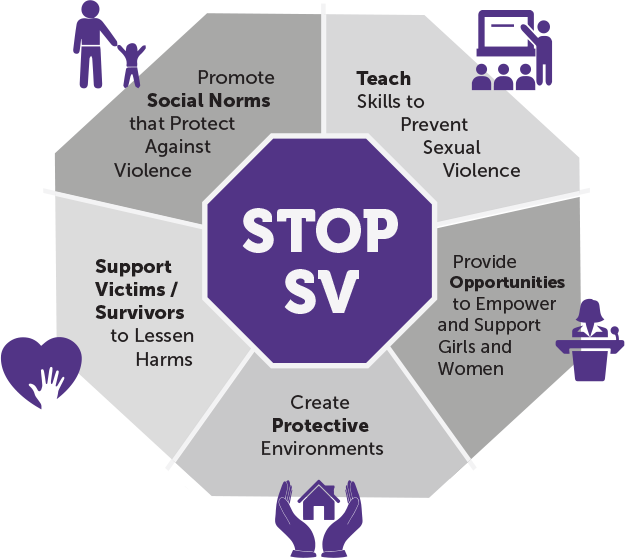 There are several resources on VetoViolence that can support your sexual violence prevention work. VetoViolence is CDC's online source of free violence prevention trainings, tools, and resources. Visit EvaluACTION to learn tips on evaluating your sexual violence program or policy, or create, save, download, and edit a new logic model and evaluation plan. Use the Social Norms resource to develop a campaign that helps you address and change attitudes, beliefs, and behaviors around sexual violence to help people adopt new, healthier social norms. Check out the online Dating Matters® Training to help you learn how to prevent teen dating violence. To learn the fundamentals of effective violence prevention methods, visit Principles of Prevention to help you move from problems to solutions. Learn more about the four-level Social-ecological Model to understand the potential benefits of sexual violence prevention strategies and explore the sexual violence prevention model. There are also partner resources that can support your sexual violence prevention work. Visit PreventConnect for podcast and e-learning opportunities. Visit National Sexual Violence Resource Center for up to date news from the field and a library of additional resources. Getting attention for prevention. This brief, developed by the National Sexual Violence Resource Center and Berkeley Media Studies Group, provides guidance on how to frame sexual violence and construct messages about prevention.